Change is in the air and as a result the last few weeks have been incredibly eventful. 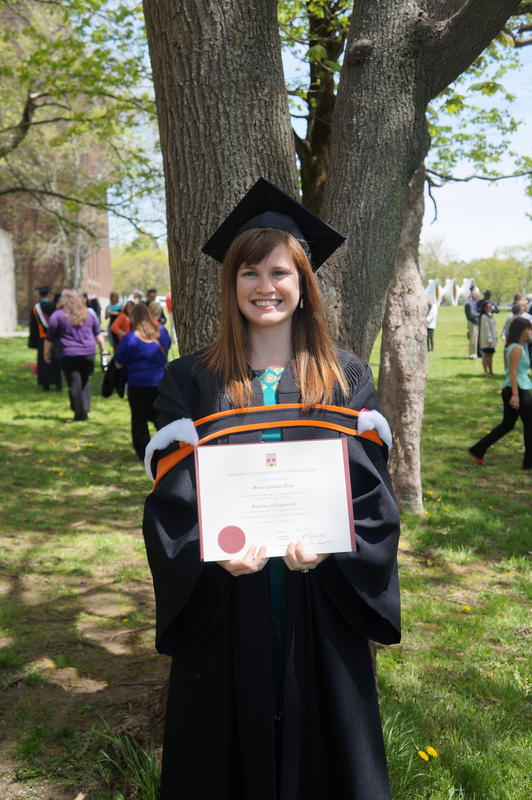 If you have me on facebook, you’ll probably know that I recently received my Bachelor of Engineering! I feel like it’s been a long time coming and it was exciting to finally get that last piece of paper. Since I came back from Peru, I’ve pretty much just been kicking around St. John’s, applying for the occasional job and hoping things would work out. My graduation week was pretty much the most incredible week ever. Seth and I both convoked this year, so between the two of us, it felt like I was always at some kind of convocation event or party. In the same week I got my degree, I also attended my engineering dinner and dance celebration, and hosted a convocation party at my house! First of all, thank you to everyone who came to the party, called, or stopped by to wish me congratulations. I have felt very loved and supported over the past few weeks, as well as a little bit overwhelmed by everyone who took the time to come out and celebrate with me. I’m so thankful for all the support and prayers I’ve had over the last few years! My parents came to watch my 30 seconds of glory as I walked across the stage to receive my degree and my grandparents and relatives watched online. It’s so nice to know that no matter what I do or where I go, I have such an incredible support network! So, like I said, change is in the air. You may be wondering what my plans are now that I’ve put University behind me; I am still not entirely sure what the future holds, but I do have one piece of the puzzle figured out. I’ve been incredibly lucky to get a job working with Nalcor Energy on the Lower Churchill Project for the summer! I was offered a job, on my convocation day nonetheless, and I started with Nalcor this past Monday, so I guess I’m a real person now with a real-person job! Oh, and the job is in St. John’s, so I’ll be around the city all summer! In other news, you may have noticed that my blog now looks different! I changed a few things in what I called my ‘unemployment project’. The page theme is different and I’ve got a lovely new cover photo of me and my housemates hiking along the countryside in England (photo credit to the wonderful Mickael Freitas). I’ve also added some new content and a new browser at the top! I started writing some specific content for the different places I’ve visited, as I think it’s much easier to reference this way. You can read about it fully in “About My Blog” and feel free to check out some of the content in the drop-down menu. In addition, you might have noticed that I’ve now become the owner of my domain and my new url is mariaadey.com (no .wordpress anymore!). A little thank-you to WordPress for letting me blog for free the last 3.5 years! I’ve been doing a decent amount of hiking along the East Coast Trail since I’ve been home and I’ve made a goal of trying out a different trail each week (or every other week at the very least). Seth and I hiked the Sugarloaf Trail a few weeks ago, which runs from the Marine Drive Sciences Centre to Quidi Vidi Village. I think it’s probably a nice trail, but it was really foggy on the day that we hiked it, so I really can’t be sure! We also hiked Cobbler Path with a few people from SASF. I loved the views on this one, parts of it are through the woods, but the majority is along the coast. The other day Seth and I also made a quick stop into Cuckolds Cove Trail to look for a bald eagle that’s nesting there with her chicks. 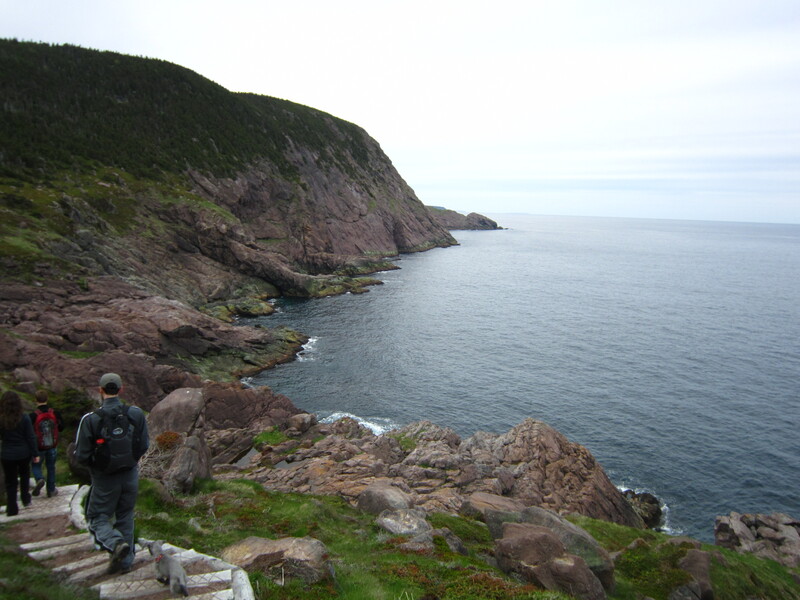 The trail is located up on Signal Hill, but starts from Georges Pond rather than the top of the Hill. I would definitely recommend walking in (it’s only about a km); we had no trouble spotting the eagle! Anyways, I just wanted to post a quick update about the new and exciting changes in my life! I’m hoping to keep posting with regular content, although I suspect it won’t all be travel related. I might try out some new things, maybe some more opinion pieces or even a book review? Who knows, we’ll see what strikes my fancy! Let me know if you’d like to take up some hiking with me this summer!